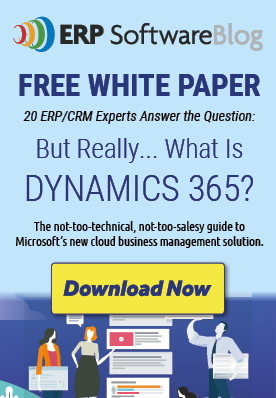 August 14, 2017 by iCepts Technology Group, Inc.
Microsoft Dynamics 365 is the next generation of intelligent business applications that enable organizations to grow, evolve, and transform by combining both ERP and CRM. This new could-based business management systems allows you to add modules and business apps as they become available to customize and meet your unique requirements. Dynamics 365 for Financials makes ordering, selling, invoicing, and reporting easier—starting on day one with tight integration with familiar Microsoft applications such as Office 365 and the Outlook Add-In. This robust business management solution is being enhanced with many new features. One of the latest financial management functionality is the release of the Average Costing Method, which indicates that you can now use the Average costing method to valuate inventory. The cost of an item (inventory value) that you purchase and later sell may change during its lifetime, for example because a freight cost is added to its purchase cost after you have sold the item. Cost adjustment is especially relevant in situations where you sell goods before you invoice the purchase of those goods. To always know the correct inventory value, item costs must therefore regularly be adjusted. This ensures that sales and profit statistics are up to date and that financial KPIs are correct. Average costing is useful in business environments where item costs are unstable or when inventory items are piled or mixed and cannot be differentiated, such as chemicals. With the Average costing method, the unit cost of an item is calculated as the average cost at the time of each purchase. For inventory valuation, it is assumed that all inventory items are sold simultaneously. The average cost of an item is calculated using a periodic weighted average, with period options for day, week, month, or accounting period. You can choose to calculate the cost per item or per item per location. In the Company Setup assisted setup, the default costing method is FIFO, but you can select Average. You find the Costing Method field on the item card on the Costs & Posting Fast tab. To view the history of business events that the average cost is calculated from, choose the drill-down button in the Unit Cost field.